Ring Doorbell is an American company that manufactures and sells smart doorbell products to secure your home. These innovative and compact appliances offer the necessary protection when you're away from home. With Big Apple Buddy’s personal shopping service, you can now buy direct from the Ring Doorbell online store anytime, anywhere. 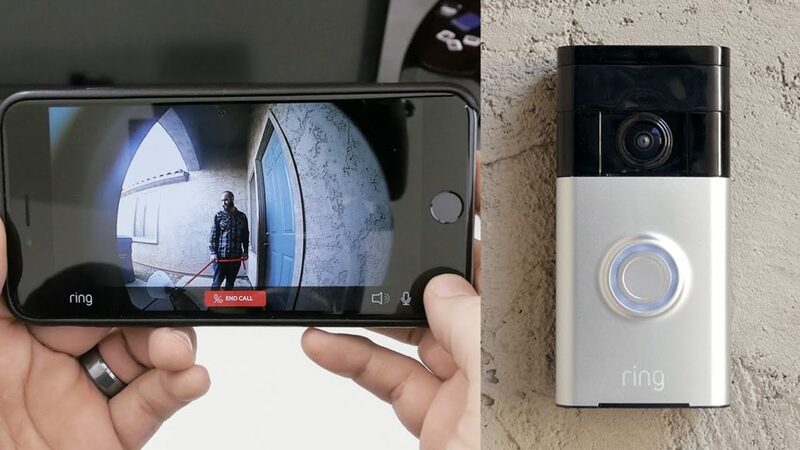 Take care of your home even when you're not there with the Ring Video Doorbell! You can keep an eye on your home at all times as the video feature allows you to see who's ringing the doorbell. Hear the doorbell at night? No worries! The HD video camera also has night vision so you can make out any visitor no matter the time. It's quick and easy to install to not waste any time protecting your house. Get the perfect match for your Video Doorbell! 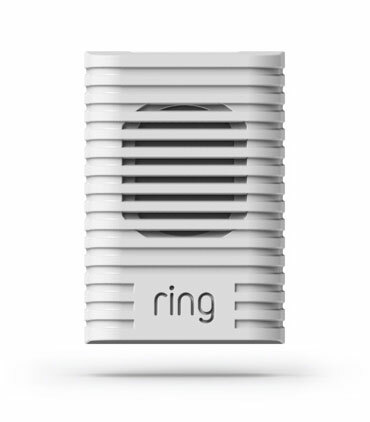 The Ring Chime works with the other Ring Doorbell product to talk to each other and provide accurate feedback of who is at your door. It plugs into any standard power outlet and let's you set up as many chimes as you need. This way you'll be alerted of every ding at your doorbell if you need it, especially when you're away from home for an extended time. 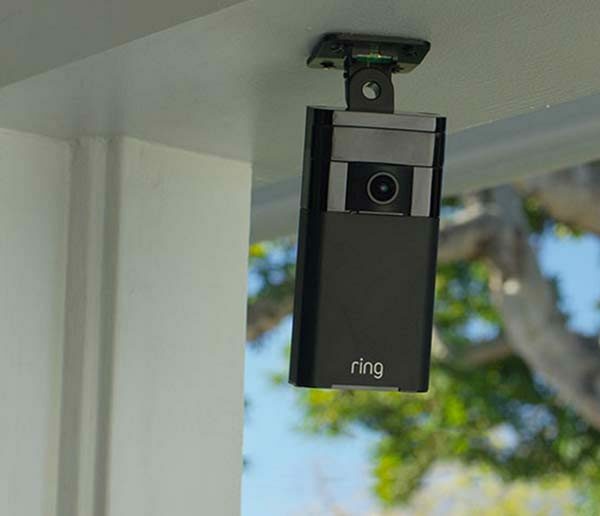 The Ring Stick Up Cam is the easiest way to keep an eye on your doorstep which allows you to customize motion zones. This water-resistant camera is ideal for the outside no matter what the weather conditions are. It's wire-free so you don't have to deal with the hassle of setting it up - just stick it and start using it! You can see, hear, and even speak to anyone that rigs your doorbell without having to come outside. Unfortunately, the USA Ring Doorbell online store does not currently offer international shipping. However, Big Apple Buddy, your personal shopper, can help you buy products direct from the official USA Ring Doorbell online store and ship them to your doorstep, no matter where you are in the world. We offer international shipping to over 190 countries including Australia, Austria, Bahrain, Belgium, Bosnia & Herzegovnia, Brazil, Brunei, Canada, China, Croatia, Cyprus, Denmark, Estonia, Finland, France, Germany, Hong Kong, Hungary, India, Indonesia, Ireland, Israel, Italy, Japan, Kenya, Kuwait, Lithuania, Macau, Malaysia, Maldives, Mexico, Namibia, Netherlands, New Zealand, Norway, Oman, Pakistan, Portugal, Saudi Arabia, Scotland, Serbia, Singapore, Slovenia, South Africa, South Korea, Spain, Sri Lanka, Sweden, Switzerland, Taiwan, Tanzania, Thailand, UAE, UK and Ukraine. If you would like to buy from the USA Ring Doorbell online store, simply let us know which items you would like to order (by filling out the form on the right) and we’ll get back to you with a free international shipping quote within 24 hours!